Buy 3 refills, Get 1 FREE! value to lowest price purchase item. 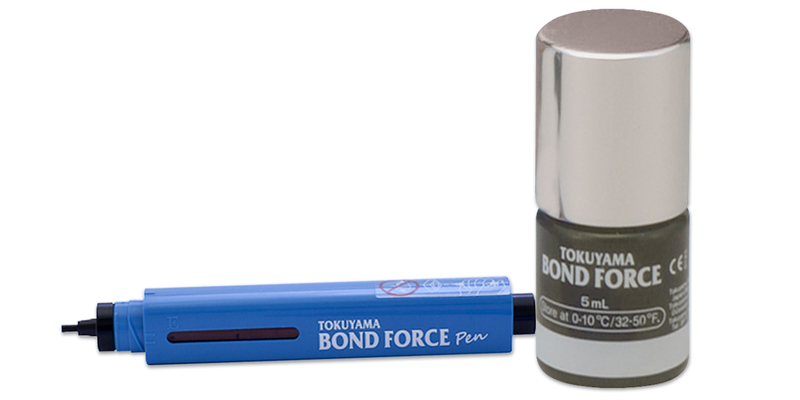 Single component, self-etching (7th generation), light-cured, fluoride releasing adhesive. Requires only 1 application. Self-leveling technology allows for a uniform layer with a film thickness as low as 8μm. Designed for use on both cut/uncut enamel and dentin. Extended working time of 5 minutes. Contains Bis-GMA, HEMA, phosphoric acid monomers and an alcohol solvent. Contains: 1 x 5ml bottle, 50 disposable applicators, 1 dispensing well. Contains: 1 x 2ml dispenser pen, 25 disposable applicators, 1 dispensing well. Contains: 2 x 2ml dispenser pens. Contains: 50 x 0.1ml unit dose applications, 50 disposable applicators.